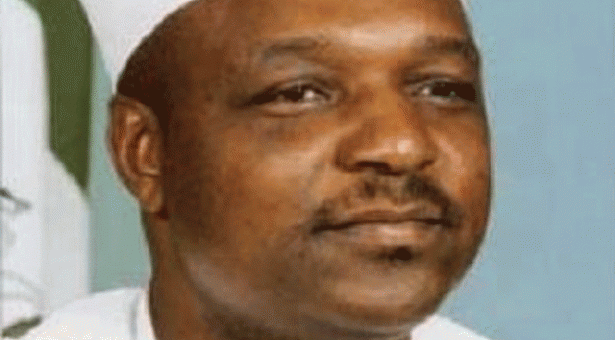 Jolly Nyame’s Conviction: Protest Rocks Taraba State. Protesters from the nooks and crannies of Taraba state as well as from the neighbouring Adamawa state, today Monday converged in Jalingo the state capital to protest against recent High Court action that led to the imprisonment of Ex-Governor Rev. Jolly T. Nyame for fourteen years without an option of fine. The protest which commenced from the popular Mile six market located in Jalingo metropolis at about 11 a.m, terminated at the resident of the embattled former governor located along the Presidential road. Expressing their displeasure over the judgment which gave no option of fine, the protesters who were armed with posters demanding the immediate release of Nyame, vowed to embark on series of peaceful protest pending “when the right thing is done.” Nyame who was convicted and sentenced to various terms of imprisonment with the highest being 14 years for offences bordering on criminal breach of trust, criminal misappropriation, taking valuable things without consideration and receiving gratification as a public officer, as tethered by The Guardian, has appealed his conviction. Led by the National President of the Mumuye Cultural Development Association (MCDA), Anthony Dogo Vowaty, the protested noted that all legitimate paths would be read to appeal the conviction. 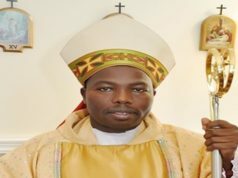 According to Vowaty “since there is room for appeal, we are certain that our leader, Rev. Jolly T. Nyame, would soon regain back his freedom” adding that” as far as we are concern he is the backbone of Taraba politics.” Citing numerous projects constructed during Nyame’s administration, the group according to its national President would never cease from calling for the immediate release of Nyame, stating that “we are ready to take instruction from him even if he is in prison.” Calling on government to ” be just in its decisions to all and sundry irrespective of political party differences, the group declared that ” we are not fighting the government but not nay showing our solidarity to with our leader whose imprisonment we are not comfortable with.” The group that collectively affirmed that ” government is a continue process, could not fathomed why the former governor was held behind the bar to his “sincerity and achievements while in office.” Believing that the judgment has political undertones, relevant authorities as well as well-meaning Nigerians, as suggested by them, should as a matter of urgency facilitate the immediate release of the imprisoned ex-governor. The group also cited the dream of the convicted former governor to become a senator in the forthcoming political dispensation slat for next year, were of the view that his judgment was politically motivated by “some few individuals in order to prevent him from actualizing his ambition.